Fujifilm today announced the well-leaked X-T30 camera, an update to the junior model in their lineup. The X-T30 is to the X-T3 as the X-T20 was to the X-T2. In other words, most of the features and electronics of the senior model, but in a a body that is less robust and a less expensive to build. 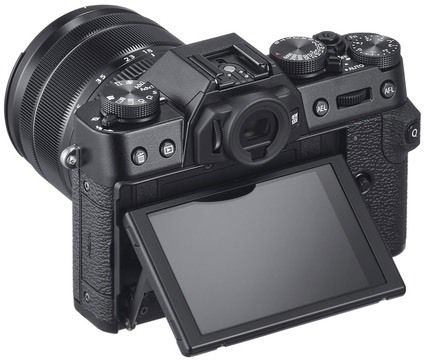 At US$900 for the body only, the X-T30 is probably the best value in the current X lineup, as it features the latest Fujifilm 26.1mp X-Trans sensor, the new X-Processor 4 Quad Core CPU, and even 10-bit 4:2:2 video on the HDMI port. What you don't get is the better X-T3 EVF, the multi-axis tilting LCD of the X-T3, and some of the deeper features of the top-end camera. Meanwhile, you're carrying 157 fewer grams (5.5 ounces) and paying US$500+ less. Beside the X-T30, Fujifilm also continued rolling out lenses in their prime series, this time a 16mm f/2.8 (24mm equivalent). This is a fairly small lens, though not quite pancake.